In these times of unpredictable economic situations, most employees have difficulties coping with work-related stress. Irrespective of one’s status, occupation, or salary rank, most of the employees spend most of their would-be productive time feeling exhausted and frail, instead of staying calm and attentive. At the same time, most organizations have troubles with managing of time. Time management is quite essential for any organization, without proper planning an organization would not be able to meet most of its obligations. Stress and time wastage in workplace is an interrelated phenomenon. A comprehensive stress and time management scheme is very essential for any organization. This paper highlights the major causes of stress in places of work and management approaches used to overcome the various degrees of stress. The paper also shows usefulness and advantages of stress in workstations. Some of the major causes of stress include: work relationships, overworking, and the level of control exercised by management on the employees, inadequate resources, and the poor communication channel. The other causes of stress in the work include job insecurity, aspects of the job, roles and responsibilities of employees, poor working environment, bad management, bullying, no support from network, situational demands and changes that take place in organizations among the others. Stress levels in the organization can be minimized and eliminated by addressing the root cause of stress in the first place, and by acquiring the services of professional experts. Bad management in an organization leads to stress, because employees feel that they are being misused and overworked. Ineffective management may also lead to the reduction of the salaries of these employees, and this slackens their morale leading to the increase in stress levels. The other cause of stress in working stations regards the culture of bullying. This is the process by which the experienced and older members of the organization misuse the services of newly recruited employees. Some of these new employees are compelled to handle large loads of work, yet the responsibility belongs to other employees within the organization. This consequently leads to the growth and accumulation of stress within the junior workers who feel disrespected (Dwyer, 2009). Choosing the wrong career may also be a source of stress in the workstations. This is because the employees have inadequate capacity and mental ability to handle the requirements of the particular job. The lack of adequate skills may result into the development of frustrations, and thoughts of quitting the job in search for a better one may resurface. This eventually results in stress and leads to the poor quality work most of the time. The other cause of stress is the type of relationships that exist between the employees and the management team (Hunsaker, 2005). If there is friction and disagreements between fellow workers and management, this scenario is likely to lead to the creation of stress. This is because poor relationships results in the cultivation of mistrust and misunderstanding which is not healthy for the advancement, growth and development of the organization. Additionally, lack of progression is also a major cause of stress in work places. Employees tend to expect gradual progression in their places of work as they acquire valuable working experience as years go by. The lack of capacity by management to provide them with the required framework of advancing results in stress. Job insecurity is also the way to stress. This is because employees are not assured whether they will retain their places of work, should there be a change in a management team. Underworking and overworking also leads to stress of the subordinates. In the situation of underworking, employees’ potential is not fully developed resulting into stress. On the other hand, overworking implies that the workers are being overstretched in terms of the number of hours they are supposed to work. The management authority will choose in most circumstances not to pay the subordinates for the extra work hours and this leads to the cultivation of stress. In order to overcome stress in organizations, the management authority should address all the concerns that are raised by the employees. For instance, management can decide to assure the employees of their job security and by so doing, the employees will have peace of mind and, hence, work diligently towards achieving the main aims of the organization (Carlopio, Andrewartha & Armstrong, 2001). In terms of overworking, the management committee can recommend additional payment for the extra number of hours worked. This encourages the subordinates and helps to minimize the levels of stress within the organization. Stress arising from underworking can be overcome by utilizing fully the potential of the employees. This is done by giving them a platform to express their capabilities freely without strictly controlling them. This encourages workers to take responsibility and to be innovative and creative. In addition, strict control in the places of work often leads to the increase of stress levels. This can be surmounted by the resolution of management to embrace change in terms of the leadership styles deployed. For example, if an organization uses authoritarian type of leadership in the management of affairs of the organization, they can decide to shift to a democratic type of governance. This offers employees the chance to raise their concerns to their superiors without trepidation of facing the sack. This, therefore, implies that stress was because of poor management eliminated in the process. Bullying is also a practice that results in stress. Such unruly behavior can be eliminated from the organization by identifying the proponents of bullying and banning them from the organization. It is a negative behavior, which often leads to the denial of the right of the employees (Rees & Porter, 2008). Such behavior ought not to be tolerated at all ,and the management should adopt stern measures in dealing with the offenders. Stress can also be solved by working on the differences between employees and management authority. This entails improving the already strained relationship with fellow colleagues with the intention of providing a favorable environment for all the people concerned. When all the employees are working together in harmony and in unison, the cases of stress are minimized and controlled greatly. Stress is also controlled by renegotiating the deadlines that had already been set if one does not meet the demands of a particular task. This implies that one tries to reach an amicable agreement with his superiors by requesting for more time in order to meet the demands and the expectations. This reduces the huge levels of stress one is likely to face should he or she fail to meet the deadline. 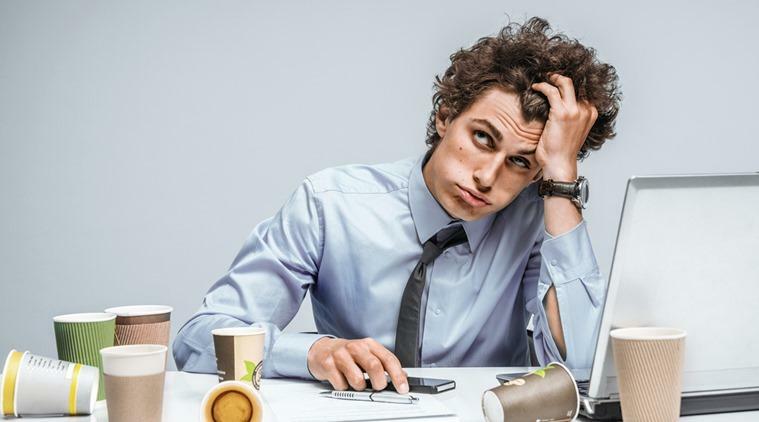 The other reason of stress that can be minimized by the management teams pertains the benefits and pays that the employees are entitled to get in exchange for their services. This involves reviewing the salaries of the employees upwards in recognition of their efforts and roles in realizing the objectives of the organization. The employees feel encouraged to work more, since they are getting better payment. This consequently leads to the reduction of pressure related to poor benefits and pays. The other method that can be used by management to regulate stress in an organization is by improving the level of communication. This means that the channels of communication should be clearly defined with the purpose of reducing unnecessary misunderstandings (Lussier, 2003). When a clear communication channel is put in place, the employees take instructions and command from a recognized leader. This reduces the unnecessary disagreements in the case whereby the subordinates are answerable to more than one superior. Lastly, the other method of coping with stress in the places of work regards the aspects of one’s private life and his or her professional life. This requires the employees to allocate their time carefully and efficiently without neglecting other things. They should, therefore, ensure that workers’ professional job does not interfere with their private life. Stress is mostly viewed as a negative element in the places of work not only by the management authority, but also by the employees and the subordinate staff. However, stress can be positively controlled by the employees and utilized fully for the benefit of a given individual and the organization at large. Therefore, it acts as a motivator for the employees to reach their peak performance levels. For instance, the workers may be afraid of losing their jobs because of the other prospective employees. The stress arising from the fear of losing their jobs can motivate people to work extremely hard (Robbins & Hunsaker, 2003). As a result, their quality of work improves, and their chances of retaining jobs may be secured. The fear of losing one’s job, therefore, encourages a person to raise his or her own standards of working, hence improving chances of attaining job security. Stress is also important because it helps one to visualize better ways of adapting to a given situational demand. This means that pressure may indirectly lead to the development of the innovativeness among the employees. They become accustomed to better methods of dealing with most of the problems they encounter during the work. This eventually strengthens their mental ability and makes them efficient and better employees. Carlopio, J., Andrewartha, G. & Armstrong, H. (2001). Developing management skills: A comprehensive guide for leaders (2nd ed.). Frenchs Forest NSW: Pearson Education. Dwyer, J. (2009). Communication in business. Strategies and skills (4th ed.). Frenchs Forest: Pearson Education. Hunsaker, P.L. (2005). Management: A skills approach (2nd ed.). New Jersey: Pearson: Prentice Hall. Lussier, R.N. (2003). Management fundamentals: Concepts, applications, skill development. (2nd ed.). Mason, Ohio: South Western Thomas Learning. Rees, W.D. & Porter, C. (2008). The skills of management (6th ed.). London: South- Western/Cengage Learning. Robbins S. & Hunsaker, P.L. (2003). Training in interpersonal skills: Tips for managing people at work (3rd ed.). New York: Pearson Education.